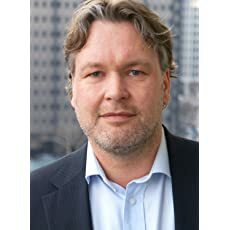 Leon M. Hielkema, MBA, is an award-winning author with more than 15 years of international experience in developing, executing, and evaluating strategic change projects. He has successfully coached many internal professionals over the years and is a featured speaker and trainer. 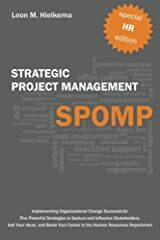 With "Strategic Project Management SPOMP" he gives new, refreshing insights on how to successfully effect change in complex organizations. 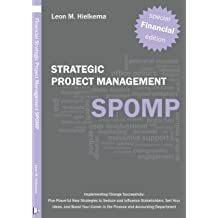 Proud to announce that HR Strategic Project Management SPOMP (ISBN 978-0-9828779-0-6) was awarded finalist in the “Best New Business Book” category of the 2012 USA Best Book Awards! A complete list of the winners and finalists of The 2012 USA Best Book Awards are available online at http://www.USABookNews.com. For more information, free excerpts, and links to retailers, please visit http://www.SeduceStakeholders.com. As an experienced internal consultant, project manager, program manager, change agent, or change manager, you are responsible to implement strategic change in your organization. How to create support and buy-in for the organizational change that you want to realize? How to deal with resistance to change? Stakeholders can only be seduced into organizational or behavioral change if they have a positive perception of the change that you want to realize. Therefore, it is imperative to communicate positively about the project at every communication moment (project marketing). This means, for example, to convince stakeholders that your approach to the project is the right one. The challenge of the fifth and last SPOMP strategy is to prove during the project that your project will be successful in the end. The goal is to create a positive attitude from stakeholders regarding the organizational change that you want to realize. If you can convince stakeholders of this potential success, then it becomes much easier to seduce them into change. “HR Strategic Project Management SPOMP” describes how to seduce stakeholders by proving the potential success of your project. Just as a manufacturer uses marketing to seduce customers into purchasing a product, you can use marketing to seduce stakeholders into change. Therefore, you need to view your ideas or change initiative as a product that you want to sell to stakeholders. “HR Strategic Project Management SPOMP” describes how to sell your ideas by marketing your project, the capabilities of your project team, and yourself as the orchestrator of the change. How to use office politics as a positive force? Office politics always plays a major role when you want to realize change in your organization. Politics is often viewed as a negative force on the project, but you can turn it into a positive. To use politics as a positive force, you need to carefully select the stakeholders who are able to influence others to favor your project. 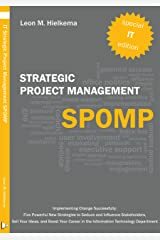 Proud to announce that “HR Strategic Project Management SPOMP" has reached #86 position in the category Organizational Behavior, just 2 weeks after its launch. Thank you for your support and reviews. The ultimate goal of every strategic HR project is to effect change in your organization. Implementing this organizational change is a complex challenge. Research shows that only 20-50% of all initiated projects are successful in meeting this challenge. Every project results in various people within the organization having to change their behavior, attitude, or working method. Your client gives you the assignment to implement Talent Management in your organization. Suppose that you find an excellent report on the internet on this topic from an identical organization. What would happen if you deliver this advisory report to your client one hour after you have been given the assignment?